Nicole is 2 years old and was born with a cataract due to PHPV. She currently wears a contact lens and has been patching since she was 3 months old. Hi,my little girl Evie has phpv. I noticed Nicole isn’t wearing glasses, did she have them or does she wear a contact instead. 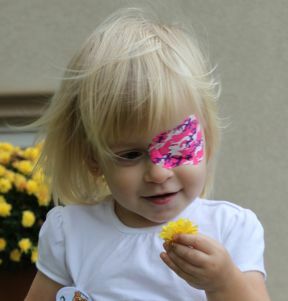 Evie had cataract surgery where they successfully put in a new lense so she has that and her glasses.